Indian weddings are most delightfully celebrated rituals. Weddings consist of different ceremonies, i.e. Engagement, Mehendi ceremony, Sangeet ceremony, Tilak, Vidai ceremony and Reception ceremony. To get a royal look in all these ceremonies, people use to get dressed up in traditional attires like sarees, lehenga cholis or designer anarkali suits. Most probably sarees are selected by majority of them as it gives them a gorgeous ethnic look. Summer season is the best favorable season due to sunny and bright outdoors with clear weather, also it makes people feel flexible to wear Indian traditional attires on wedding events. For Indian summer wedding people choose some colorful & designer wedding sarees with embroidery work. Sarees are the glam of Indian fashion since so long in history. Every Indian woman has a place for this tradition in their wardrobe. Sarees can be pronged with different design, color, fabric and work. It has such a wide collection that fulfills needs of every individual taste. Summer wedding sarees can have fabric like cotton, Georgette, chiffon & net, which gives a comfortable feel and glamorous look. It also has a significant and endless color combination option, to make you stand out in the crowd. If you are planning to attend summer wedding, then light weight with bright colorful outfits must be your choice. Traditional sarees will give you the best designs for wedding attires that will make you feel for this wedding season. Are you searching for the best and affordable place to shop summer wedding sarees in India? 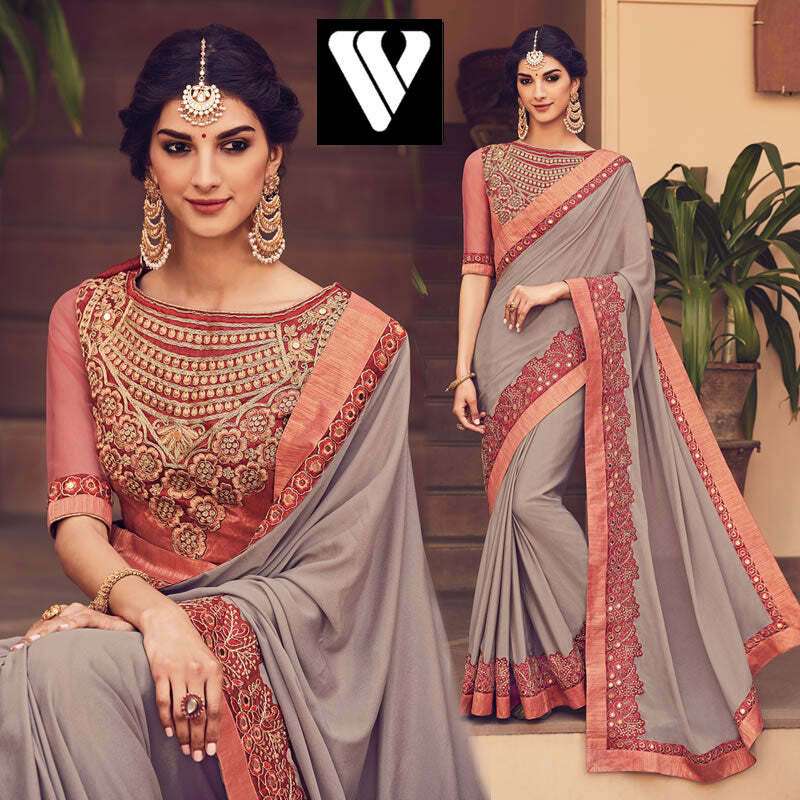 VestureVogue is a best online store to buy Indian wedding sarees. Visit our online store to pick the perfect color, cuts, design and fabrics to look stunning in the summer wedding. I received my Salwar Kameez order earlier than expected and they are absolutely beautiful. I am proud to say these are my first Salwar Kameez and I cannot wait to wear them! Thank you vesturevogue.com!